Service Availabilities In Pittsford, Fairport, Penfield, Greece, Webster, Rochester & Western New York (NY) Areas Near Me! 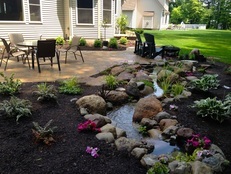 Getting a pond or water feature in Rochester (NY) is a little like buying a car. They start out with just the basics with options to improve. 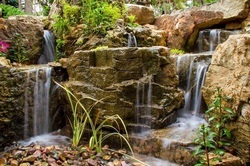 Acorn Ponds & Waterfalls offer pond enhancing & water feature design services and ideas to either help to make your water garden look more aesthetically pleasing or make it easier to maintain. 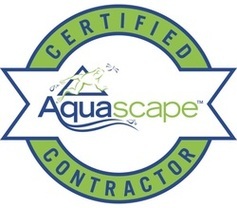 Have you been experiencing water quality/clarity issues, battling string algae or other pond problems? 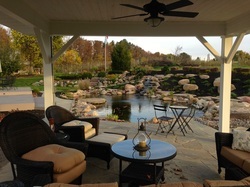 Is it time to replace that patio, lighting or waterfall? 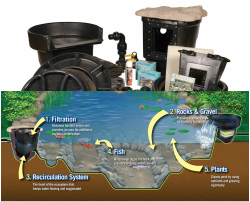 We can help with a complete renovation or maybe you only need to add a filtration system to improve your pond? 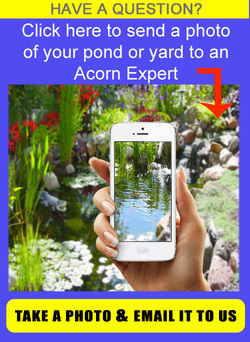 Acorn has you covered with our extensive training, knowledge and experience to recommend and install the right products for your pond. 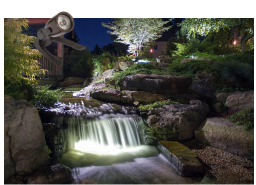 Underwater LED Lighting & ​Landscape Lighting can extend your enjoyment time of your water features & gardens. 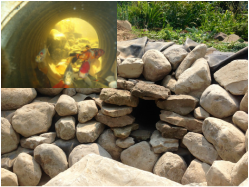 We install built in fish caves to provide a safe place for your fish. 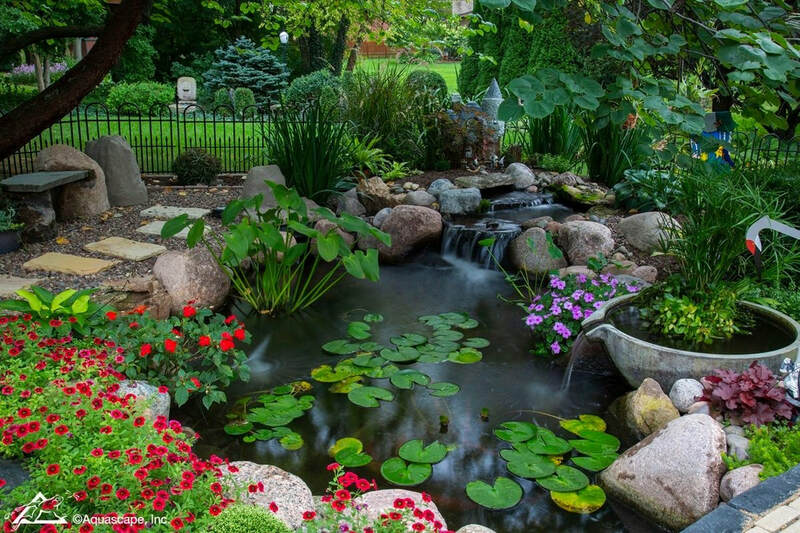 Customize your water feature by installing fountains & urns into your water garden. 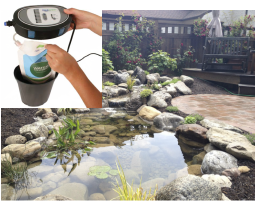 The automatic bacteria doser will keep your pond water looking clear all season. 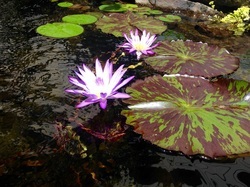 Skimmers and waterfall filters will make it easier to maintain your pond. 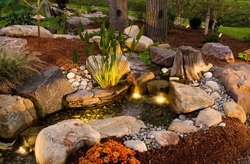 Provide destination boulders & accent rock so you can easily get around your pond. 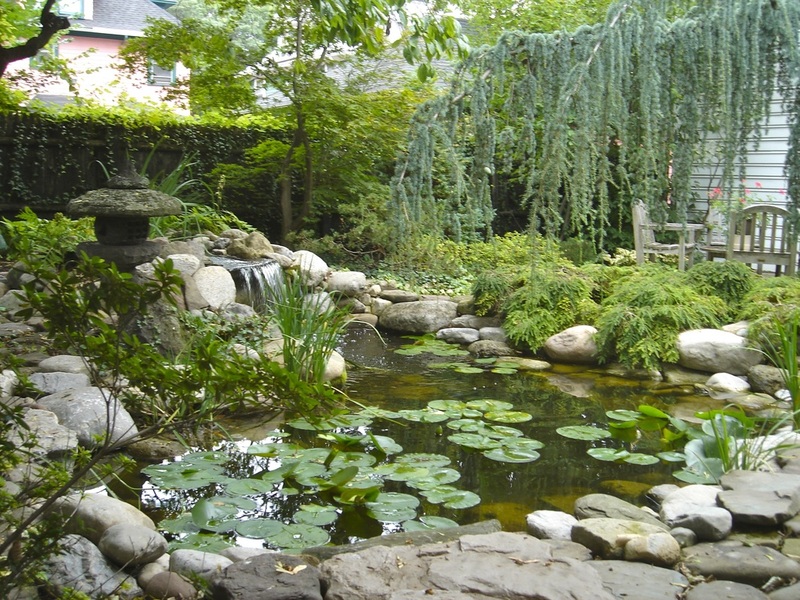 Naturalize your pond, waterfall & stream with driftwood. 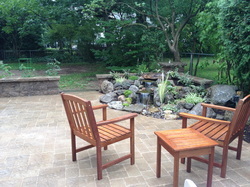 Add another waterfall for better filtration, more sound & to view from different area. Make your stream a little longer and provide birds with more areas to drink & bathe. Install bridges for easy access and special affect. 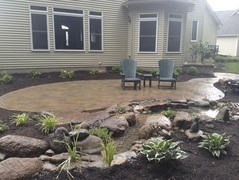 Get closer to your pond with a new or larger patio. 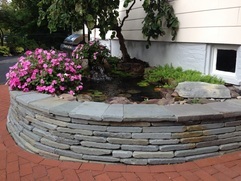 Install retaining walls and provide another area to sit and enjoy your pond. 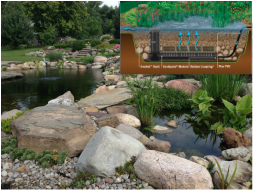 Constructed wetlands are by far the best way to filter ponds. 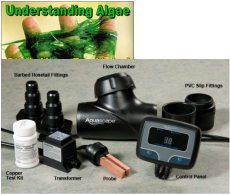 Say goodbye to string algae with an Ionizer. 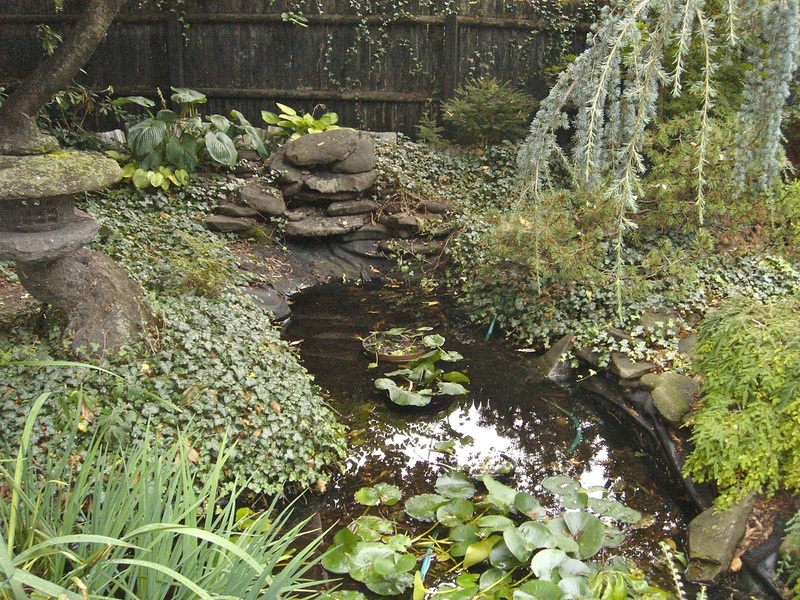 Eliminate the pond altogether and install a waterfall without the pond. 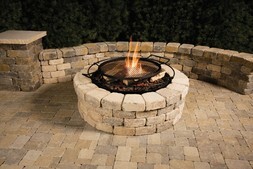 Add another dimension to you backyard paradise with a fire-pit. 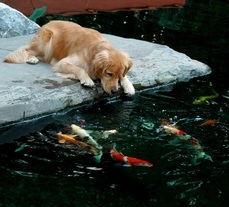 Enjoy your pond no matter what the weather is doing. Tropical plants have vibrant colors and provide interest longer into the fall. 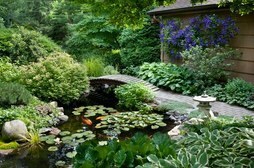 SCHEDULE A KOI POND DESIGN CONSULTATION NOW!